The University Library welcomes any member of the community to visit any of our six libraries. Members of the community can apply for membership to borrow at libraries in Broome, Fremantle and Sydney. Membership costs $40 per annum and is offered at all locations. See below for information on services available and how to apply. All of the University libraries hold collections of print books and periodicals, including academic journals, magazines, and newspapers. The majority of the print collections are available to Community Borrowers for loan, with the exception of certain resources. These exceptions include items which can only be accessed while in the libraries (e.g reference materials and journals), short term loan items, and items that are in high demand from students. Due to licences and other restrictions, the University Library is unable to provide Community Borrowers with access to PCs, eResources, the wider internet, or print/copy facilities. To apply, applicants need to complete the application form and provide photo ID and proof of current address, such as a valid WA Driver’s Licence. Community borrowers will be required to present photo ID each time they wish to borrow from the Library. Membership applications are to be made to the Broome Campus Library. The University Library will provide City of Fremantle staff and inner city residents of the City of Fremantle with membership to the Library free of charge upon application. All other community members will be required to pay the $40 membership fee. Membership provides access to the Fremantle Campus Libraries (St Teresa's Library, Galvin Medical and Craven Libraries). The Library assumes Inner City Residents to be those resident in the area covered by the Fremantle Inner City Residents Association (FICRA). 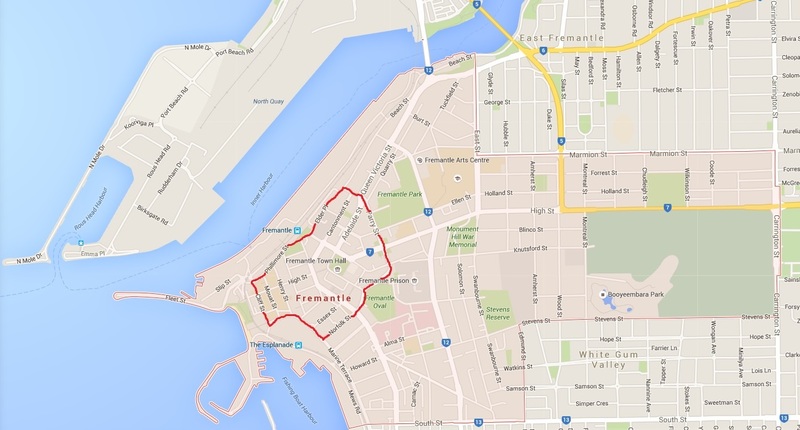 This is the area of Fremantle within the boundaries of Cliff St, Marine Terrace, Norfolk St, Parry St, Elder Place and Phillimore St.
Community Borrowers will be required to present photo ID each time they wish to borrow from the Libraries. City of Fremantle staff will need to provide their employee ID card as initial photo ID. All subsequent transactions at the Library can be done using another form of photo ID, such as a valid WA Driver's Licence. Membership applications are to be made to the St Teresa’s Library. Membership provides access to the Sydney Campus Libraries (Benedict XVI Medical Library - Darlinghurst and St Benedict's Library - Broadway). To apply, applicants need to complete the application form and provide photo ID and proof of current address, such as a valid NSW Driver’s Licence. Membership applications are to be made to the St Benedict’s Library at Broadway, or the Benedict XVI Medical Library at Darlinghurst.